I found this lurking in the back of my studio. 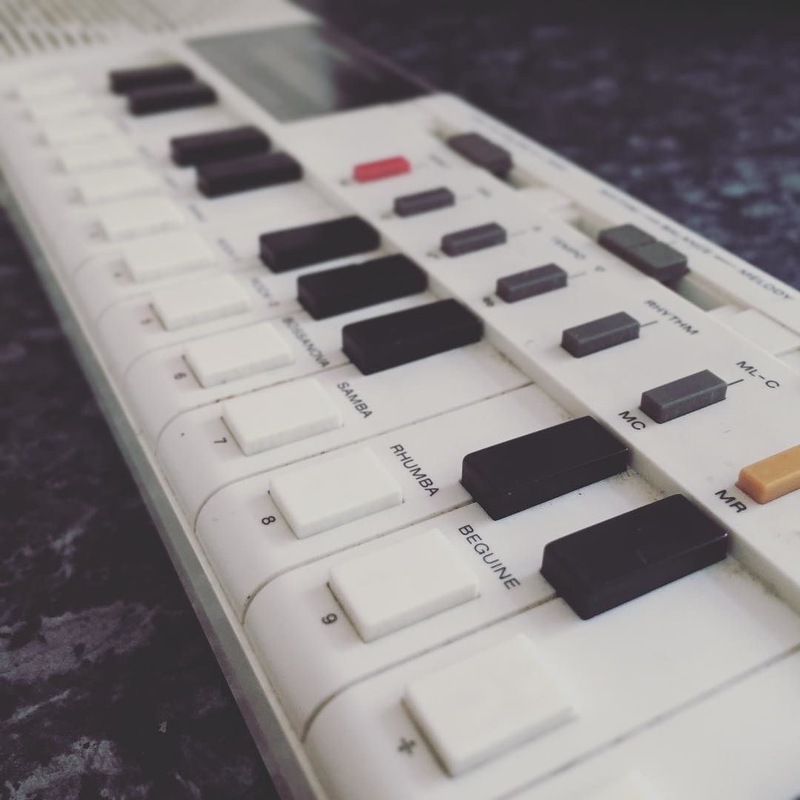 This is a Casio VL Tone. Arguably more of a musical toy than an instrument. It was the first musical device I was given as a child, and it’s seen plenty of action over the years. Amazingly it still works, which is very impressive considering it should probably be in a museum! I enjoyed all sorts of music when I was younger, and making my own songs quickly became very important to me. I would spend hours writing tunes with this, signing along to the beats and writing down lyrics. To be honest not much has changed. However these days you’re more likely to see me singing along to a smartphone or laptop.